La Mamounia - luxury hotel in Marrakech. The royal treatment is what can be expected at La Mamounia Marrakech. 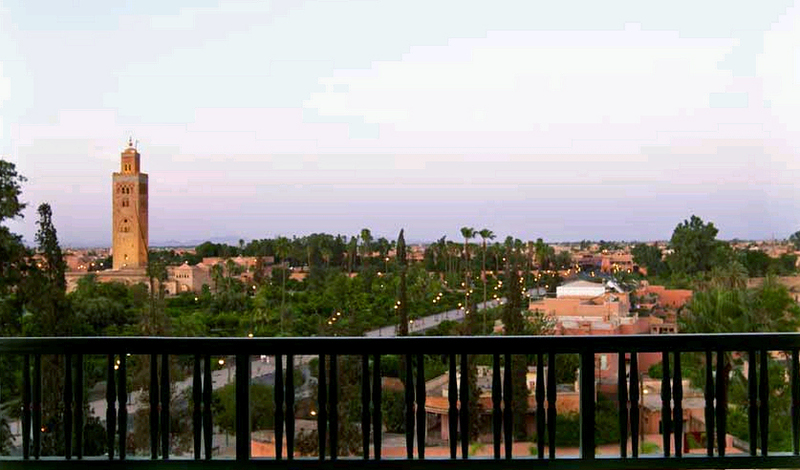 This elegant 209 suite hotel is set within the royal gardens on the South-Western side of the lavish Marrakech. 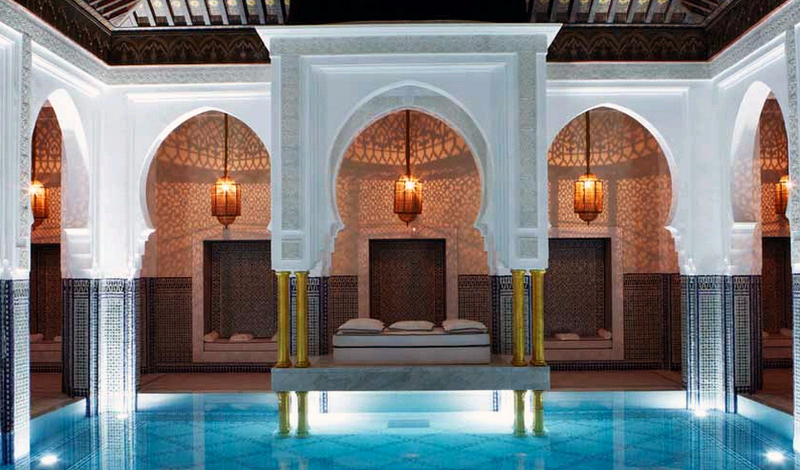 La Mamounia is teeming in comforting colors, traditional mosaic and just oozes opulence. This is your idyllic setting to put your feet up after a day of exploring such a bustling city. A short drive from the airport around palace gardens and you’re greeted by gold at La Mamounia. Djemaa el Fna is a stroll away where you find the infamous market square in Marrakech’s Medina quarter. Haggle with the locals as you slowly sip a refreshing juice crafted in front of you for a third of the original price before trotting off exploring the ancient sandstone streets before indulging in the spa at your La Mamounia. High ceilings welcome you into your suited palace. Opulent red, gold and beige drape around the room with stunning mosaic finishes. Your view is of the breath-taking Koutoubia Mosque with Marrakech city rolling into the distance underneath the snow-capped Atlas Mountains. It’s no wonder Winston Churchill was such a big fan of La Mamounia. This is a regal beauty in a stunning city. Location is spot on, the views are incredible and a world-class chef heading up the four restaurants is really the cherry on top.